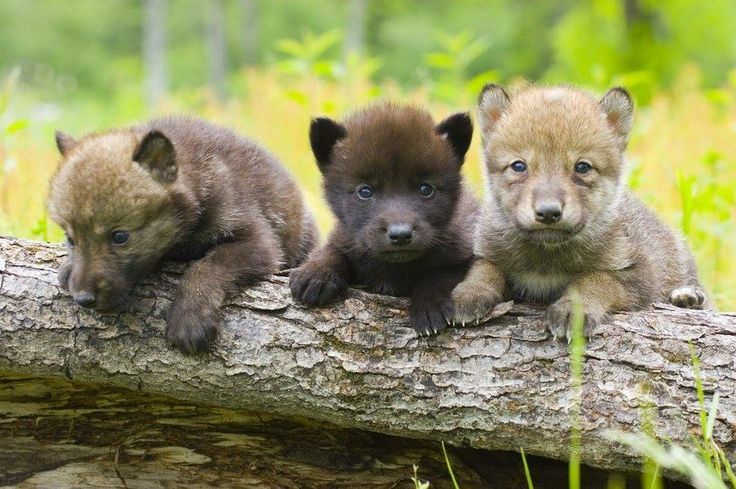 The House of Representatives approved a controversial bill to overturn an Obama-era rule that protects wolves, bears, coyotes and other animals on more than 76 million acres of national wildlife refuges in Alaska. The measure was passed 225-193 on Thursday on a mostly party-line vote. 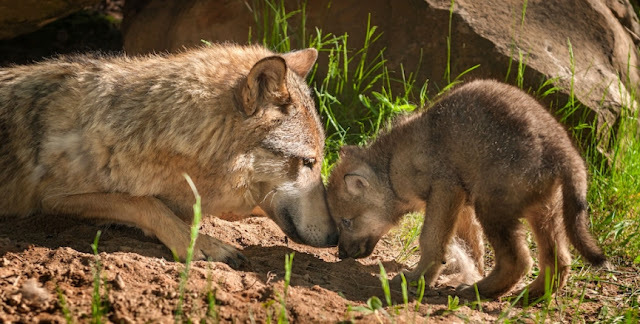 Animal welfare advocates said that the resolution allows trophy hunters to go to den sites to shoot wolf pups, use painful steel-jawed traps to ensnare animals and even chase down grizzlies with aircraft. "This bill allows the use of inhumane tactics such as trapping, snaring, and baiting bears, and killing wolves and coyotes—and their pups. It even allows shooting bears from helicopters," said Rep. Betty McCollum, a Democrat from Minnesota, who voted "No" on the resolution. "As a strong advocate for our public lands and natural treasures, I will continue to fight extreme proposals like this that erode bedrock conservation laws and expose animals to abuse." After Thursday's vote, the bill is now up for possible consideration in the Senate. Environmental and animal rights groups have strongly condemned the bill. 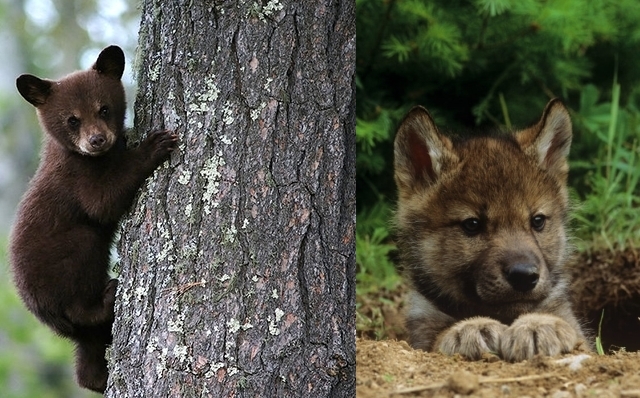 "Killing hibernating bears, shooting wolf pups in their dens, and chasing down grizzlies by aircraft and then shooting them on the ground is not the stuff of some depraved video game," said Wayne Pacelle, president and CEO of The Humane Society. "It is exactly what Don Young is trying to restore on National Wildlife Refuges in Alaska. No decent person should support this appalling, despicable treatment of wildlife." "Rolling back protections for predators defies everything wildlife refuges stand for," said Emily Jeffers, an attorney with the Center for Biological Diversity. "Refuges are places where we celebrate biological diversity, not where wolves and bears are inhumanely killed for no good reason. It's an outrage that Congress would revoke rules that stop the senseless slaughter of predators, heedless of the important role these animals play in healthy ecosystems." Born Free USA said that U.S. Fish and Wildlife Service's rules were meant to protect Alaskan wildlife from "shockingly brutal practices."
. @repdonyoung’s H.J.Res.69 completely ignores the science behind wildlife management—this kind of slaughter is not healthy for ecosystems. "Alaska is the only state that currently allows bears to be caught and killed for commercial and recreational purposes using cruel leghold traps and snares," the group said. "Both steel-jaw leghold and snare traps are barbaric, cruel, and indiscriminate. When triggered, leghold traps slam shut with bone-crushing force on any victim unfortunate enough to encounter it, including endangered species and pets. Once caught, animals suffer immensely from injury, trauma, and stress, and ultimately die an excruciating death. Many even gnaw off their own limb in a desperate attempt to escape, often dying of a painful infection days later." Responses to "House passes bill legalizing the killing of bear cubs and wolf pups in wildlife refuges "
Who in the heck Raised you!!! This Bill is wrong evil inhumane , just is not right!!! What happen to Protecting our Wild life!!!! The senseless murdering of cubs and pups!! Who in the HEll are you.!!! THOSE WHO WOULD KILL EVERYTHING, ARE KILLING US ! ALL LIFE MATTERS, INTERDEPENDENTLY ! What sort of sick F#2ks have the USA in power to allow gun cowards and sick pycopaths to kill cubs. These so called representatives deserve to suffer the same fate. They are despicable, and soulless. What's wrong with these people?!!! Disgusting. Who on earth thought this would be a good thing. Let's hunt people in their own homes. Lets set traps in people's beds and homes. Let's see people suffer. I think not. This would not happen to a human. Why let it happen to defenseless Animals? Humans are encroaching on the land of animals, shouldn't we learn to live with them? Rather than getting rid of them inhumanley? Thank you to Rep. Betty McCollum from Minnesota for standing up against this barbarous treatment of wildlife. These are living beings who deserve respect. We can learn so much from them without inflicting needless pain and inhumane cruelty. Thank you for believing that humans can be better than this. we need to have a public vote on this! removing our rights to wildlife sightings is wrong & should also be illegal!!! Let Sarah Palin be the first one hunted . We are suppose to be the intellectual but we don't act like it. Are your hearts made of stone? Are you all narcissistic? Do you have feelings? Evidently not. PLEASE protect animals. Don't destroy them. They don't deserve that. I read of this barbaric concept and it leaves me cold and hollow inside. I cannot conceive what kind of sick mind, what kind of twisted persons have been elected to put something like this forward, let alone enough of them to pass this in a vote. Kill cubs and pups, hibernating animals, what the hell. Surely you gun toting hunters can see the difference between hunting and simple slaughter. You indulge yourself in this and you are less than human. This whole world is in trouble and it is painted in the vivid colour of blood. Hang your heads in shame, America, they should at least be safe from traps and snares in a Wildlife refuge, let alone idiots with guns shooting them as they sleep. I say we hunt the hunters and politicians who are making this possible. How would they feel if we busted through their door and killed their young? Or sprung traps on them coming back from gathering food (grocery store) for their family? Murder is murder animal or human. We are the stewards of this planet. Killing these animals not only upsets the balance of nature but kills the planet too. I am heartbroken over the ignorance and the vengance of the Republican party. Where will they hide when the citizens come hunting for them? What is the bill number so that we can contact our senators and reference it? so what we doing about this??? Call me back when you are this outraged over going into the womb to kill babies. You can cry about being stewards of this planet all you want. Big trophy hunters pay thousands for the privilege to kill what they want and how they want. You will never get them to see things differently. Sarah Palin was no different and unless you are there to stop this, it will go. Money talks so you had better be prepared to shout. Good Luck, especially with the Republicans ruling the roost. PLEASE EXPLAIN TO THE WORLD. HOW YOU CAME ABOUT PASSING THIS LAW I FIND ALMOST UBBELIEVE ABLE TO SAY THE LEAST. There is no real reason to do this, only hateful, sick people would even think of it. Are you kidding me. I always wanted to visit Alaska but now I will do everything in my power to stop tourism and stupid people from going there. Next thing they will be going into hospitals and killing babies for some ungodly reason. STOP IT! Please provide more information or petition site that will allow us to protest this bill! I thought a Wildlife Refuge purpose was to protect wildlife. What exactly is the reason for this bill? Are baby animals attacking people or live stock? No? Then this bill must be to satisfy the thrill of blood lust by killing nursing babies. This is slaughter and torture of the helpless. Anyone who would support or participate in this blood letting is frightening, has a heart of stone, will justify any evil for personal benefit and apparently make up a majority of our elected representatives in Congress. Which of the resident citizens in America will be targeted for their amusement or benefit next? To literally ambush these animals is so vile - what doesn't the House of Representatives get about the word 'REFUGE' - Leave these animals alone - they are SLEEPING, not terrorizing - this is SO deplorable. I do not get it. I am almost ashamed of my own country and this just makes me more ashamed to say I am American. We should be protecting our wildlife not killing them in the MOST INHUMANE ways. These weapons would be painful. I'm pretty sure a human being would not like to be attacked with those traps, so why would they. We may be humans but we are still ANIMALS. We are still mammals.